BLOWDRY PASS! Unlimited blowdries for £50 per month! Cannot be used in conjunction with any other offer. Subject to availability. As a Sassoon Partner salon we offer the latest Sassoon haircuts and creative colouring techniques. 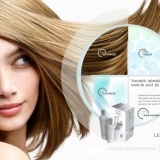 We also stock the best Sassoon Professional retail products. All of our friendly staff have been highly trained by Sassoon hairdressing academy and are very knowledgeable.